Advent is a season of waiting. It is a time of spiritual preparation in which we look forward to Christmastide. It is a time in which we mediate on Salvation History and take a long, hard gaze in our past, seeing how God the Father prepares us for the coming of the Son. We look at our first parents were guaranteed a savior. We look at Abraham and Jacob, men who were promised God’s presence in a singular way. We look towards Judah, the father of a tribe who would sprout the Son of God. We look to Moses, the bringer of the New Covenant. We look to David, of which Jesus’ Royal Dignity comes forth. We look to Isaiah, the coronet of the great title, “Emmanuel”. We look to Joseph of Nazareth, the just, quiet man. And of course, we look to the daughter of Ann, Mary, the lowly handmaid. Further, we are called to wait in a particular way. We don’t wait as if we are in Safeway, or at the bank. It’s not as if we are waiting to pay our bill at the restaurant. We don’t wait as though we were at AT&T Park, going to the restroom between innings. No—we wait as though…we’re going to see a movie. A really good one. 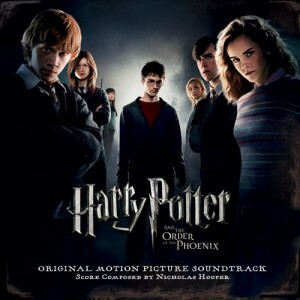 I remember when Harry Potter and the Order of the Phoenix came out to the theatres. I was in Arizona at the time, serving at All Saints Catholic Newman Center. It was known that I was a fan of Harry Potter and all things related. (Little did they know how much a fan I was and am, but that’s for another post.) When some of my students found out, they invited me to a midnight showing. And there we were, at eleven o’clock in the evening on a Friday night, with about 400 other people, waiting for the gates to open so that we can trample inside and see the summer’s greatest film. (Okay, that year, it wasn’t the greatest greatest, but you get the point.) And some of my fellow movie go-ers were dressed up. Of course. I distinctly remember seeing two generic wizards, three Dumbledores, a flock of Gryffindors, four house elves, two Death Eaters and a slew of random Hogwartians waiting for the show to start. At half past eleven, we were allowed into our theatre. Once we settled into our seats—high and center, thank you very much—the noisy electricity revved throughout the room. Someone got a beach ball and it bounced back and forth. Others started singing songs from the Potter fandom. Still others screamed the beginnings of quotations from the fifth book, expecting others to finish the line—which we loyally and joyously did. Then finally. Finally. Finally. 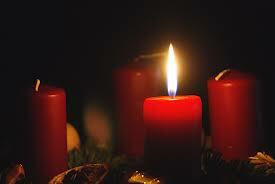 The lights began to darken, the curtains rolled out…and all hushed in a frenetic, reverential joy. This, my friends, is Advent waiting. This is the waiting that Advent brings. Knowing that the Lord will come because he always fulfills his promises. The waiting in which we don’t know exactly what kind of wondrous, delicious, delirious idea God has come up with, knowing that we will love it. Knowing that God will give us something needed yet unexpected. Advent waiting. St. Dominic’s Catholic Church, San Francisco, CA invites you to its annual service of Advent Lessons and Carols, Sunday, December 1, 7:30 p.m. The music includes motets by Lauridsen (O Nata Lux), Praetorius (A Great and Mighty Wonder arr Richard Marlow) and Gregorian chants. Also Nico Muhly’s O Antiphon Preludes for organ. The Great O Antiphons of Advent form the antiphons to the Magnificat, sung at Evening Prayer on the seven evenings before Christmas. The initial letter of each antiphon (S-A-R-C-O-R-E) forms a reverse acrostic – Ero Cras, which translates as Tomorrow I Come. Nico Muhly’s O Antiphon Preludes for Organ were written in 2010 for an evening meditation service at Westminster Abbey. Saint Catherine is a secondary patron of the Dominican Order because of her devotion to philosophy. So I feel a little pressure, here. A little gravity, if you will. Fr. Michael wrote about his thoughts about Gravity in “Our Pastor’s Corner”. Fr. Emmanuel preached about it on the 33rd Sunday of Ordinary Time. And now, it’s my turn. Gravity is a Catholic movie. 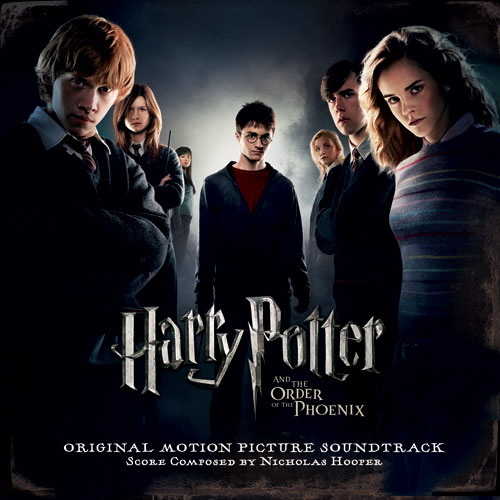 Director Alfonso Cuarón (who directed Harry Potter and the Prisoner of Akaban) did a wonderful job in proposing many Catholic themes in a surprising, integrative, and subtle way. 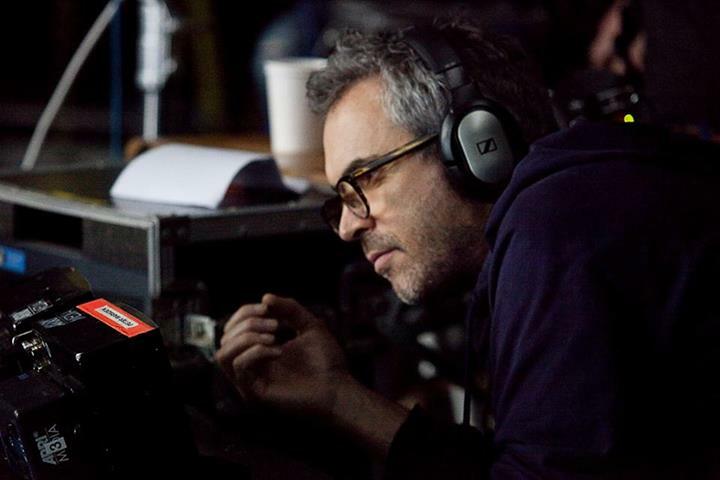 Cuarón, a highly visual artist, he doesn’t rely on snappy dialogue or technical swipe cuts to get his points across—he uses the camera and what the camera sees. He manipulates his screen images to add depth of an already deep movie. I will do my best to offer some thoughts with trying to refrain from as many spoilers as possible. So here are a coupla thoughts…. Baptismal Imagery. It basically comes in three parts. 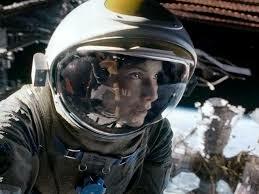 Part one is right after Sandra Bullock’s character (Dr. Ryan Stone) reenters a safe haven. She gets into the station, and whips off her space suit, and assumes a fetal position. Moreover, tubes are in the background and start to play behind her, parallel to where her bellybutton is. Now, one might think that this just happens and the movie moves on. But the camera stays there. 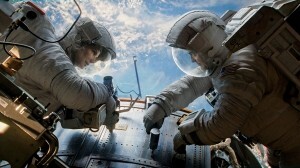 We are forced to watch Bullock’s character lay in space, in his fetal position. Cuarón tells us, “Look at this! This is important!” Thus, I say, the character had been reborn into a new experience. At the beginning the second act of the movie, she is born into a new character and a new adventure. Part two is the fire incident. She deals with the fire, and it brings her into a new way of being, forcing her to adapt and live in a new environment. Fire, of course, is a favored image of the Holy Spirit. Unpredictable and forceful, the Holy Spirit invites us to new environments, new ways of looking and things, new ways of living. The Doctor is thrown into a new living environment, into a new suit, and a situation. The fact that she bleeds is no a hidden symbol here—her life is being given into a new adventure. Part three is the water incident. It’s really difficult, by the way, to refer to this without suggesting spoilers. To put it mildy, she almost dies. In fact, when I watched it in the theatre, a woman yelled out, “She’s been through too much already!” She has to take that last gulp of air and kick off the pod and come to the surface. And once she arrives to clean air, she gasps a giant breath, as though she were drowning. And of course…we remember the kind environment she falls into, right? …must I be more explicit? Well, you have my email. Patron saints. This was actually really fun to see. I saw it in two places. For one, with the George Clooney (Matt Kowalsky) character. What a great foil! Coming into the ship, telling her to not worry. We kinda know that his character is floating out there and breaking space-walking records. But we suspend our belief, wondering—maybe, just maybe that he is really present. Aren’t out patron saints like this? Don’t we ask them to be present with us when we are in a bind? When we are in trouble? Don’t we ask for their help? Wonder if they are really with us? Answering our petitions? Interceding for us to God? Prayer. Upon the third ship—and must I remind you what “3” symbolizes?—when Ryan is to talking to Matt and describes her daughter, telling her comb her hair and take care of herself and that mommy misses her? …sounds like a spontaneous prayer to me. I mean, she may be oxygen deprived, but perhaps she may be learning how to pray. Or better, she may be praying, and she doesn’t even know it. In my opinion, spontaneous prayers from our hearts may hold God’s attention more effectively than a thousand rosaries. Cuarón designed a Catholic movie. He did it the best possible way. He wasn’t preachy. He didn’t blare the Catholicism up the audiences’ eyes—it wasn’t heavy handed at all, to his credit and his artistic skill. Yet he was unapologetic. He fronted Catholic ideas on a secular stage and he came out a success. God bless him. Catholic artists, take note. This is how you preach in an artistic way. There are many mottos of the Order. “Truth”. “To Praise, to Bless, to Preach”. 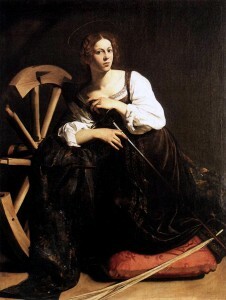 But the motto that most exemplifies Dominican Spirituality is contemplare et contemplata aliis tradere (“To contemplate and to share with others the fruit of one’s contemplation”). To contemplate. The first act of a person striving for holiness is to communicate with God. Contemplation is a long, loving, look at the beloved, whether that be your significant other, or the Significant Other. To study, to ponder, and wonder about the created and uncreated order. It is asking, “Why Lord, did you give us a leaf?” or boring into it and discovering how cytoplasm works. 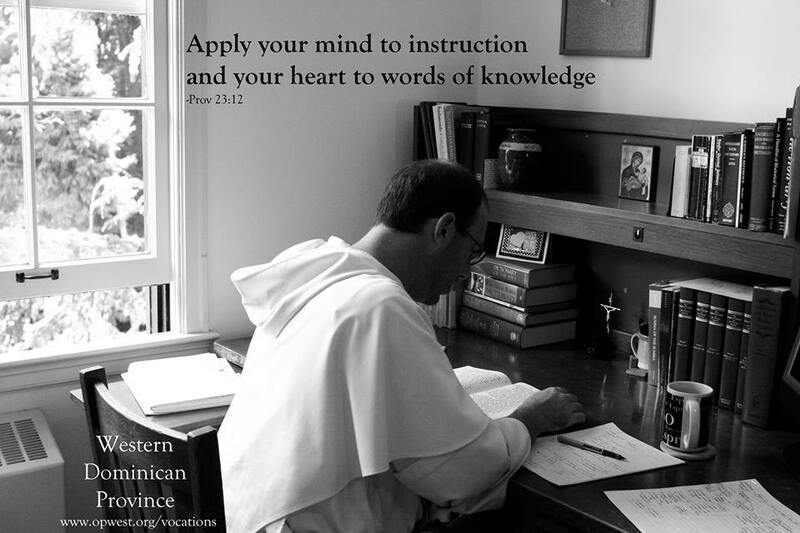 Contemplation is the first step of Dominican Spirituality – to gaze lovingly into the created and uncreated order and finding yourself yearning for more knowledge. But it does not end there. Dominicans by our nature must share the fruits of our contemplation with others. In a manner of speaking, contemplation is not an end in itself—prayer is an instrument towards the greater good of preaching the Word made Flesh. Indeed, the Liturgy of the Eucharist teaches us the same thing. The last words we hear from a priest during Mass is “Go in peace” or something similar. Go. Go out, proclaim the Word, share with others what has been handed onto you and given to you as gift. For the Dominican, the fruits of contemplation that we had received are useless unless we share it with the world. Whether by liturgical preaching, teaching in the classroom, doing works of mercy and justice, or living an impassioned and flourishing life, the fruits of our contemplation must be used for the good of preaching the Word Made Flesh. Contemplare et contemplata aliis tradere is actually made manifest in the formation of the Order. In retrospect, Holy Father Dominic knew that the only way his preaching was going to bear fruit was if, and only if, someone was praying for its success. The contemplative nuns—like the ones at Corpus Christi Monastery on Oak Grove Avenue in Menlo Park—were founded in 1206, ten years before the friars. The nuns play a crucial, yet hidden, role in the preaching of the Order. Their lives are darkly entrenched in the waters of contemplation. They have a number of holy hours a day, they gather between 7-9 times daily for prayer. They pray through their own work, rosaries, Eucharistic Adoration, own spiritual readings and study. Meanwhile, the friars, though we too have our own rigorous prayer life, have a number of university campuses, parishes, retreats and sacramental ministries to accomplish—sharing the fruits of our contemplation whenever we possibly can. In short, the Contemplative nuns are the contemplative aspect of the Order. Though entrenched with our own contemplative rigor, the friars, sisters and laity hang onto the scapulars of the nuns, actively handing on the fruits of the Order’s contemplation to those who need it most. The Body of Christ is dynamic and alive. Because the Order is one by our baptism and our vows, we rely on the fact that the active and contemplative elements of the Order to made manifest in the very design of the Order—the very contemplative nuns, and the active-contemplative friars, sisters and laity. 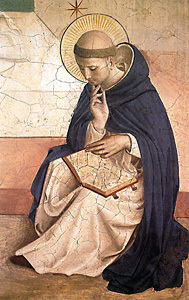 According to Dominican Saint Thomas Aquinas, one must know a thing in order to love a thing. In knowing God, in contemplating God, you love it. Knowing leads to loving. Contemplare is not only spending time in silence or in Eucharistic Adoration—though that indeed is a share of what we mean. 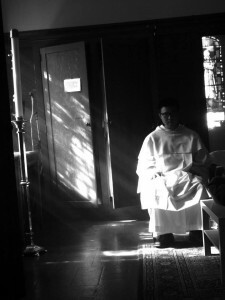 When Dominicans talk about contemplating things, we are talking about the things we study as well. If God is the first and final cause of all creation, then God is—by His nature—Master of all creation. Studying leads to knowing which leads to loving. God is the Master of Physics, Mathematics, Music, Psychology, Human Biology, Linguistics. As long as the Dominican—or anyone—is studying something that is true, then he or she is thus studying Truth and Love. It is easy to compare calendars and compete on how little sleep we are getting. But if our action is not leading to contemplation, and our contemplation into action, then we must ask about the quality of our life. If the things we study are not leading us to a better understanding to the Ultimate Truth, who is God, then we ought to pause. If the things we study are not leading us into a deeper, more profound relationship with the Great I Am, the first and final cause, then I would challenge us to discern why we are doing what we are doing. At the foundation of contemplare et contemplata is deepening our personal relationship with He Whose Name is Love. We study in order to know. We know in order to love. May we contemplate our God and each other, knowing and loving as Christ calls. Welcome to the official blog of Saint Dominic’s Catholic Church in San Francisco, CA! There are so many events and groups here at the parish that we thought that it would be a great idea to have a platform to inform everyone about our wonderful community. This blog is intended to be an online resource where we feature the pastor’s corners from our Pastor, Father Michael Hurley, theological reflections from members of the clergy and staff, short features on the many groups and events here at Saint Dominic’s and—hopefully—articles for your spiritual benefit. We look forward to being part of your life in this new way. May God always keep you and bless you. Know that you have our prayers and support!